This download includes the latest Xerox printing and scanning software for OS X Yosemite, OS X Mavericks, OS X Mountain Lion, and OS X Lion. Apple delivers third-party software for scanners and printers via Software Update. Simply connect the printer or scanner to the Mac. If software is needed and available, OS X will automatically download and install it. This article is a comprehensive list of currently supported printer and scanner models and associated software provided by third-party vendors as of 16 April, 2013. Important: Run Software Update before connecting a printer or scanner. This will update your Mac's database of the latest supported printer and scanner models. Note: If you do not run Software Update before attempting to connect a new printer, you may see that software is not available. To view the complete list of printers and scanners that are supplied by Software Update, see below or use the browser's Find feature to look for a specific name or model number. If you cannot find software for the specific model, check the list to see if it is available for a series of printers that may include the model. For example, a printer with the model number 5070 might use the software for the "5000" or "5000 Series." 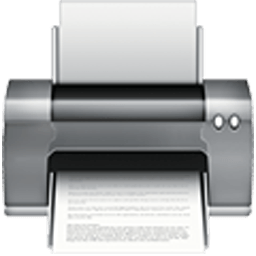 For more information about setting up and using printers in OS X Mountain Lion or OS X Lion, see this article. For information about how to connect a Wi-Fi capable printer to a Wi-Fi network, see this article. Note: You will need to add the Wi-Fi printer to your Wi-Fi network before adding the printer to your Mac.